Cades Cove, Great Smoky Mountains National Park, Tennessee. September 9, 2010. Cades Cove is one of the most popular parts of the Great Smoky Mountains National Park in Tennessee. The cove is a valley dotted with homesteads, churches, fields and woods. It was turned into a living museum after the establishment of the park in the 1930s. 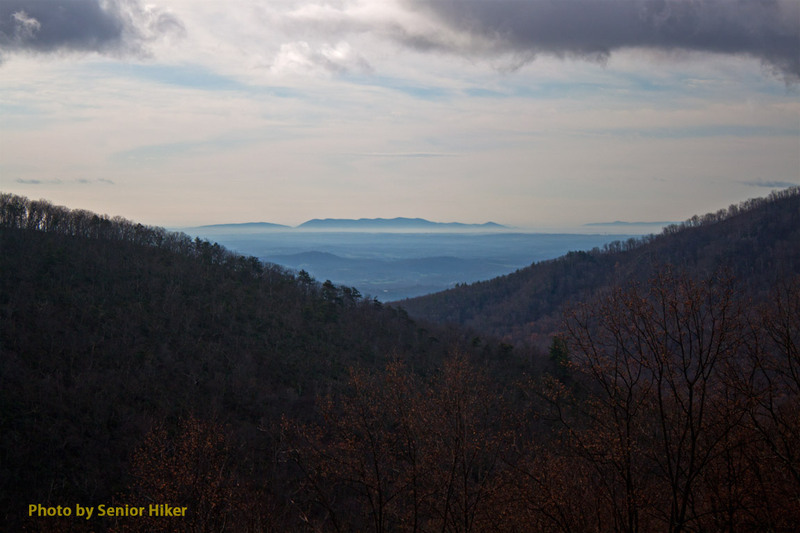 This picture was taken from Rich Mountain road leading out to Cades Cove. If you look carefully you can see part of the loop road that takes visitors through the cove. 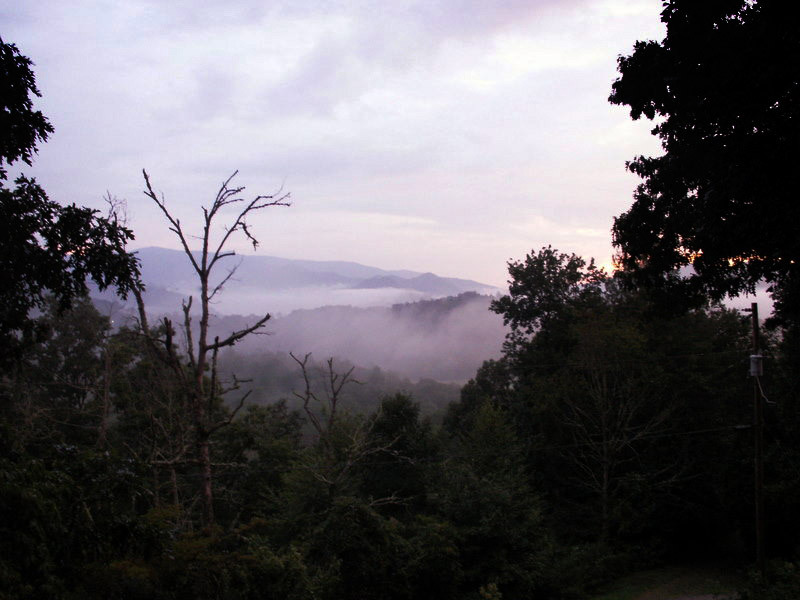 Evening in the western North Carolina Mountains, Otto, North Carolina. August 15, 2006. Evenings in the mountains can be magical times. We were visiting our friends Judy and Charlie at their cabin near Otto, North Carolina, when I snapped this picture. The sun was starting to drop behind the mountains, and mist was rising in the valleys. The dead tree seemed to add a sense of mystery to the scene. Cades Cove, Great Smoky Mountains National Park, Tennessee. December 11, 2011. One of the most popular sections of the Great Smoky Mountains National Park in Tennessee is Cades Cove. 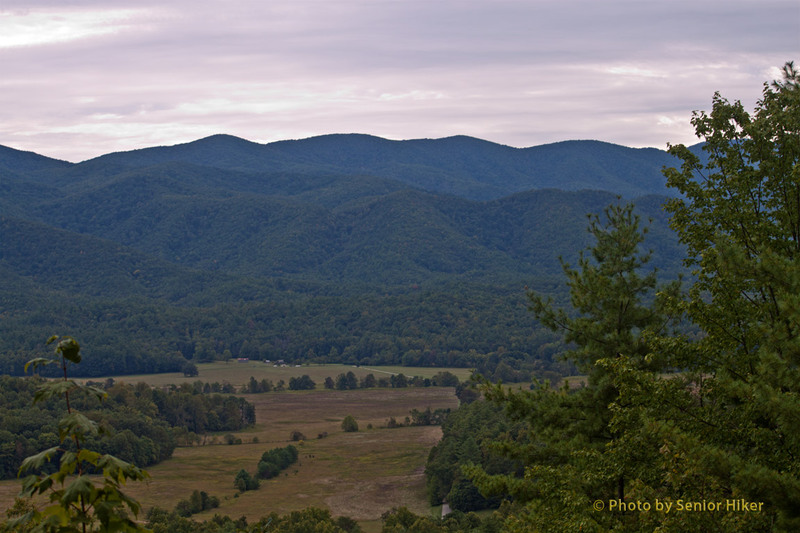 Cades Cove is a valley surrounded by mountains which contains white tail deer, wild turkeys, coyotes and black bears. To travel the loop road through the cove is somewhat like traveling back in time. Settlers first came to Cades Cove from Virginia in 1819. By the 1850’s the population of Cades Cove was 685 people in 137 households, but by 1860 the population had dropped to 269 people. 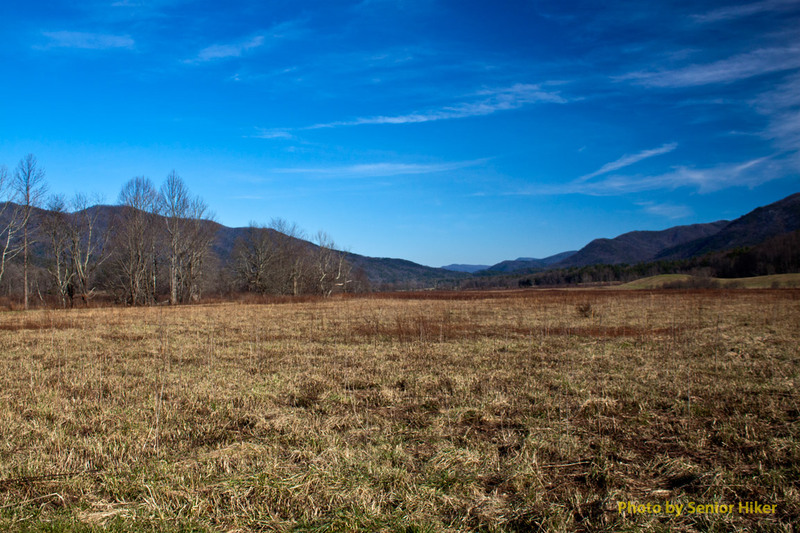 Cades Cove is the largest open air museum in the entire Great Smoky Mountain National Park. The cove today looks much like it did in the 1800’s and has original pioneer homesteads, barns, businesses, pasture and farmland. 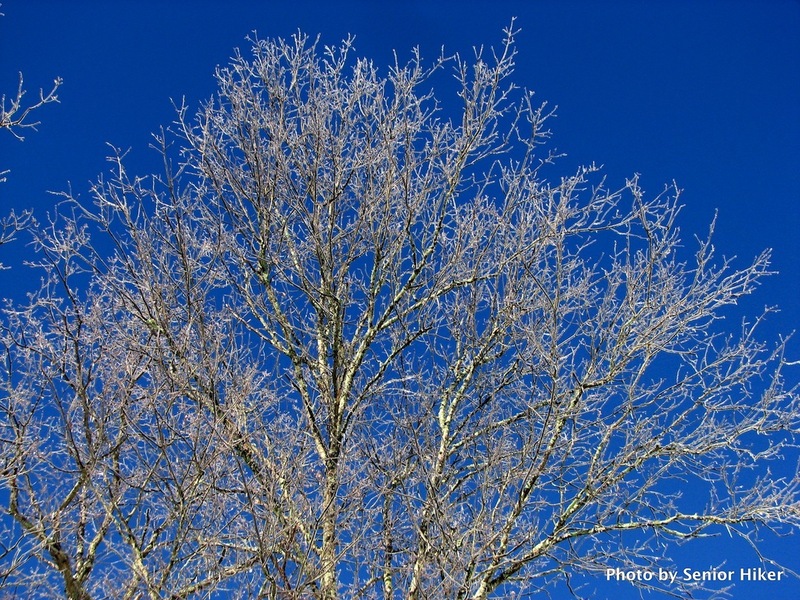 Cades Cove is interesting and beautiful any time of the year. The picture above was taken on a visit we made last week. The view from Headforemost Mountain overlook, Blue Ridge Parkway, Virginia. November 21, 2001. As I’ve mentioned earlier, we spent the night at Peaks of Otter Lodge on the Blue Ridge Parkway while on our Thanksgiving Trip. Since we wanted to drive the Parkway and then Skyline Drive, we got an early start from the lodge. We were driving north, which meant we were gaining altitude as we left Peaks of Otter. We encountered patches of fog/mist as we drove along. 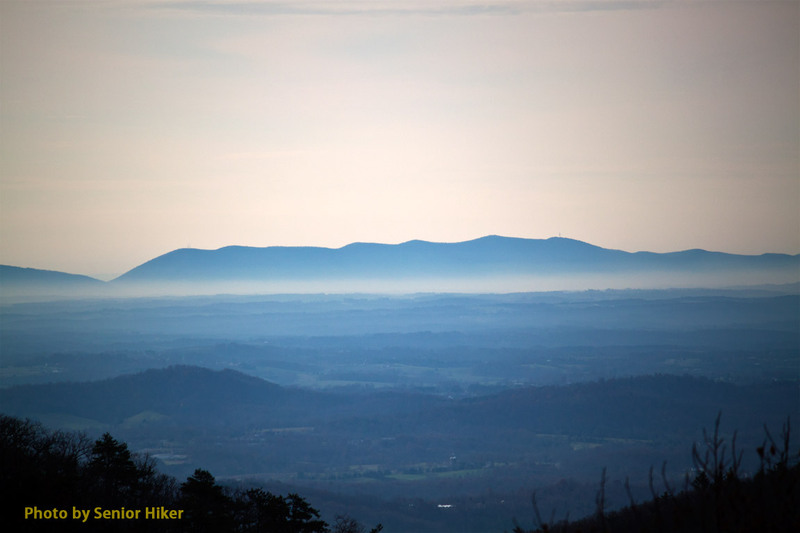 When we arrived at the Headforemost Mountain overlook, we were treated to the scene above. Actually I caught a glimpse of what appeared to be a mountain floating above the clouds as we drove by, and I had to back up to get back to the overlook. A closer view Headforemost Mountain, Virginia. November 21, 2011. We spent several minutes just enjoying the view. My telephoto lens gave us an almost surreal scene across the valley. Caledonia Cascade, Tallulah Gorge State Park, Georgia. October 14, 2009. 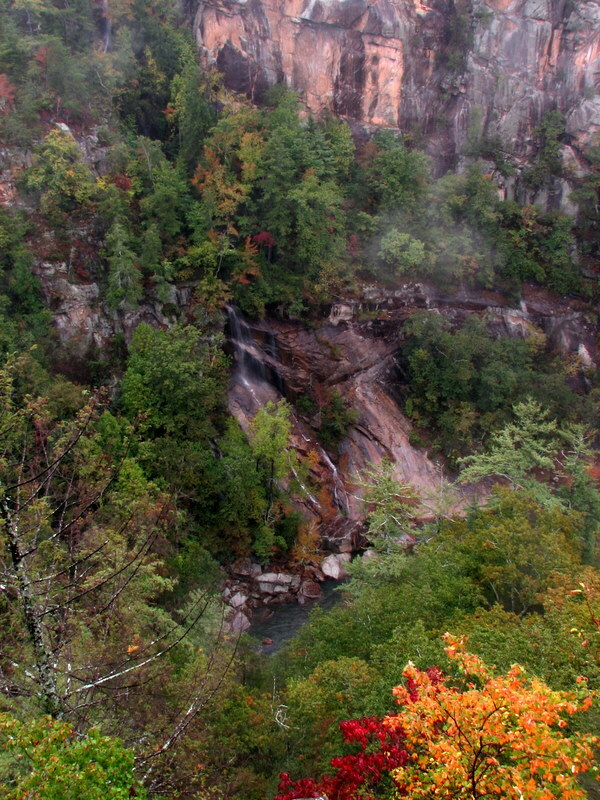 This picture of Caledonia Cascade in Georgia’s Tallulah Gorge State Park comes from my archives. Tallulah Gorge is one of our favorite places to visit. The gorge is two miles long and nearly 1,000 feet deep. We’ve hiked both rims of the gorge and had hiked down into the gorge. One of the attractions for us is the waterfalls along the river as it makes it’s way through the gorge. Caledonia Cascade is a small ribbon waterfall that tumbles down the side of the gorge from a side creek. It can only be seen from the floor of the gorge (where it is hard to get a decent perspective) or from the opposite rim, which is where this picture was captured. You have to look carefully to see the cascade, but there is that bit of autumn color in the bottom corner. A view of Abbott Lake from our room at Peaks of Otter Lodge, Virginia. November 21, 2011. Betsy and I enjoy staying at the Peaks of Otter Lodge in Virginia when we are in that part of the company. Last week we arrived after dark (driving the Parkway after dark can be quite adventure), but were treated to an early morning view of Abbott Lake from the balcony of our room. Morning reflections in Abbott Lake, Peaks of Otter, Virginia. November 21, 2011. 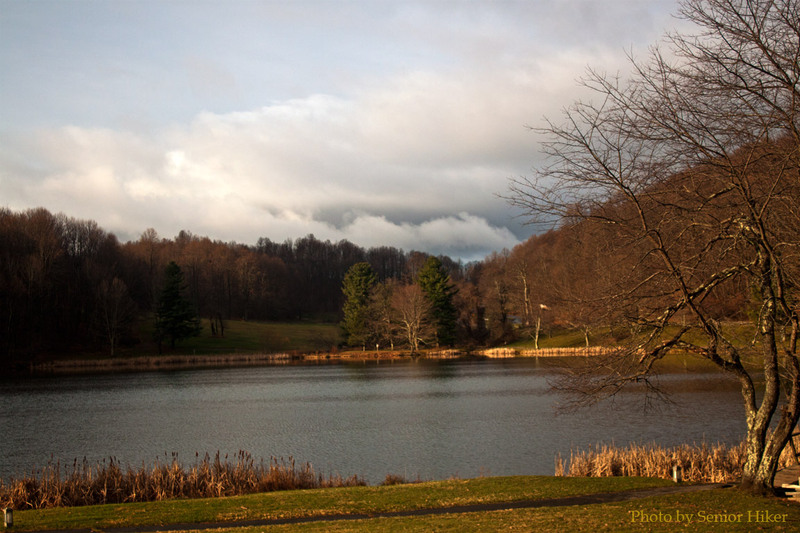 Abbott Lake is man-made and is one of the attractions of the Peaks of Otter Park. Fishing is permitted, but we just enjoy the beauty. 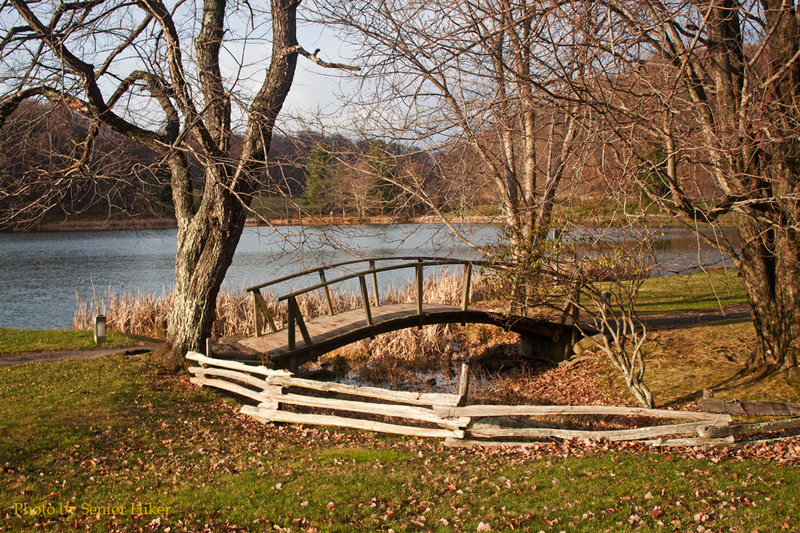 A small bridge on the path around Abbott Lake, Peaks of Otter, Virginia. November 21, 2011. The park has several hiking trails. One of the least strenuous is the trail around the lake. It’s a great way to start the day. Rice paddies on Bali. June, 1987. 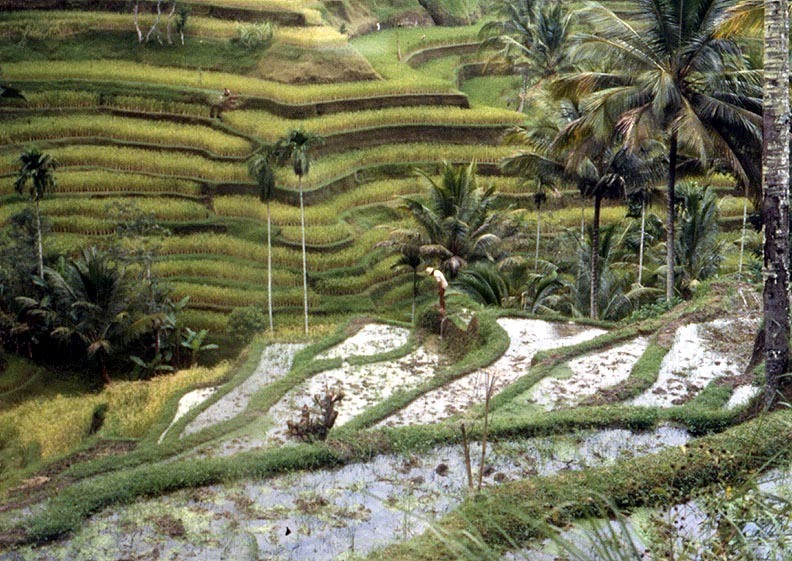 When I visited Bali back in 1987, I was very impressed with the terraces that had been constructed to make every possible square inch of land. These are rice paddies in the mountains of Bali. Autumn colors in a tree at Lake Canterbury dock, Fairfield Glade, Tennessee. November 5, 2011. Betsy and I took a ride this past Saturday afternoon to see what autumn color we could find here in the Glade. 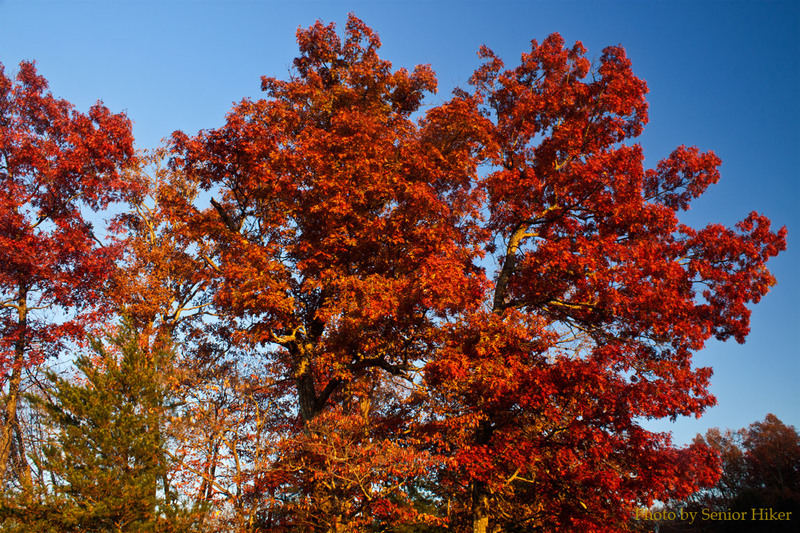 The colors are past their peak, but we did find some trees with pretty rust-colored leaves. The tree above is near a small pubic dock on Lake Canterbury here in the Glade. We usually pass this lake when going to or from town. 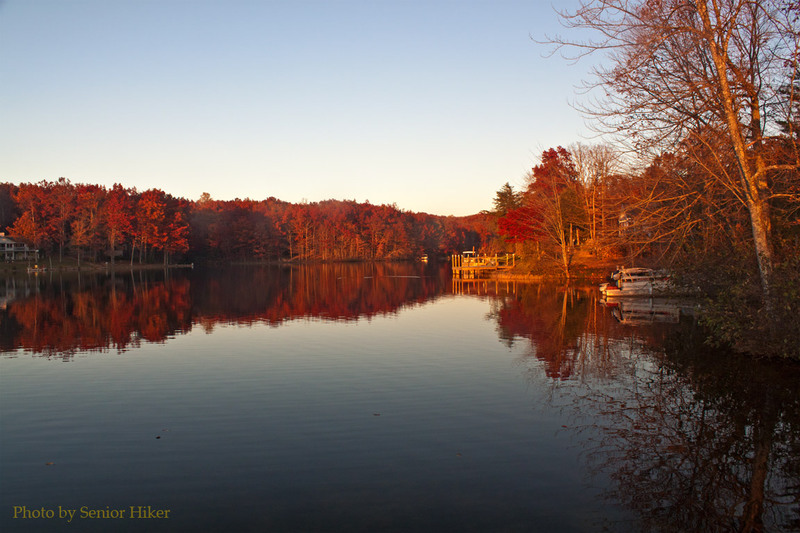 Lake Canterbury, Fairfield Glade, Tennessee. November 5, 2011. 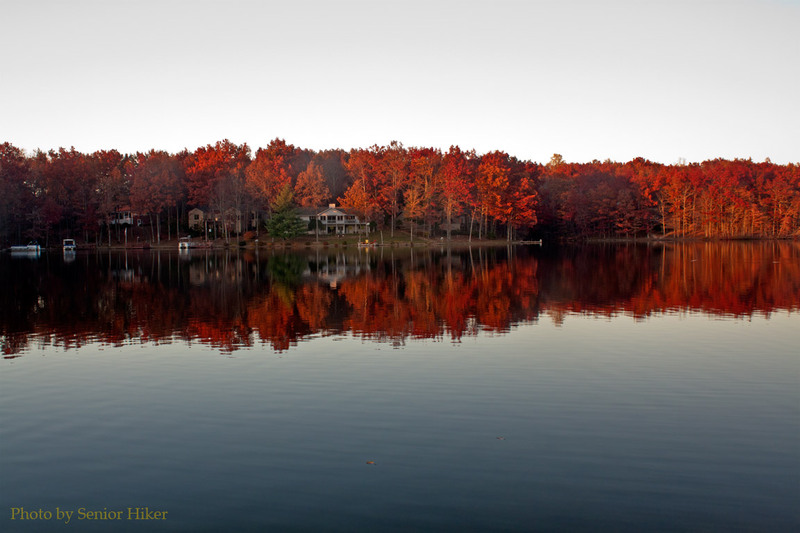 There are some nice waterfront homes along that lake, but the reflections are more beautiful as far as we’re concerned. 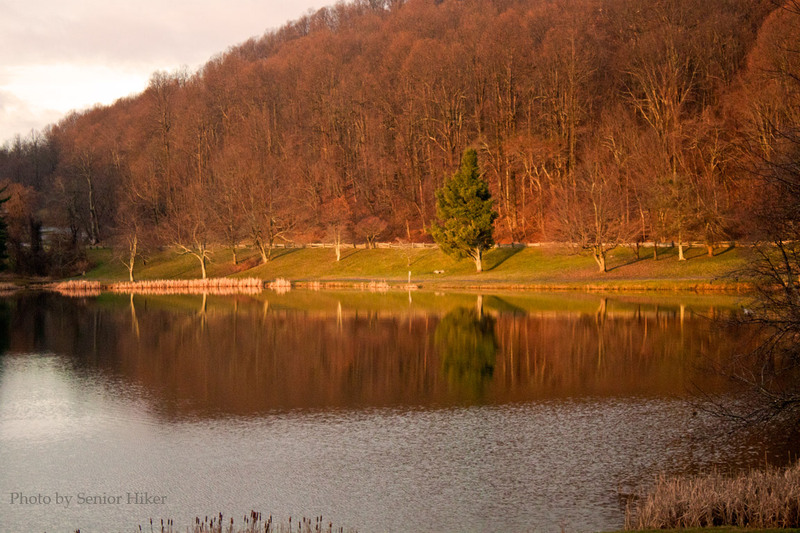 The late afternoon sun made created a perfect autumn scene. New River Gorge Bridge, West Virginia. September 17, 2011. One of the places Betsy and I visited during our travels in September was the New River Gorge in West Virginia. We had visited the upper part of the New River back in April, 2009, and we wanted to see the new bridge over the gorge on US 19. The bridge is the third longest arch bridge in the world. We also thought it would be nice to drive down into the gorge along the old road. The picture above is of the new New River Gorge Bridge, taken as we started going down into the gorge following the old winding road (West Virginia Route 82). 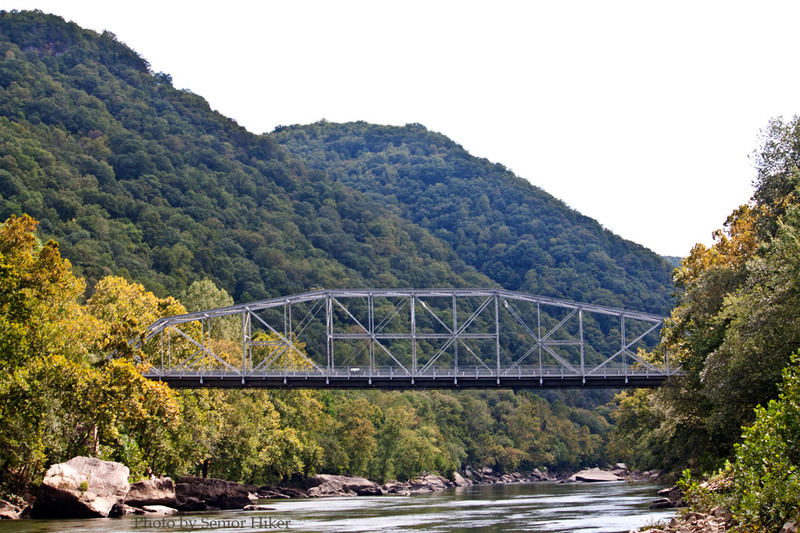 The Tunney Hunsaker Bridge across the New River, Fayette Station, West Virginia. September 17, 2011. 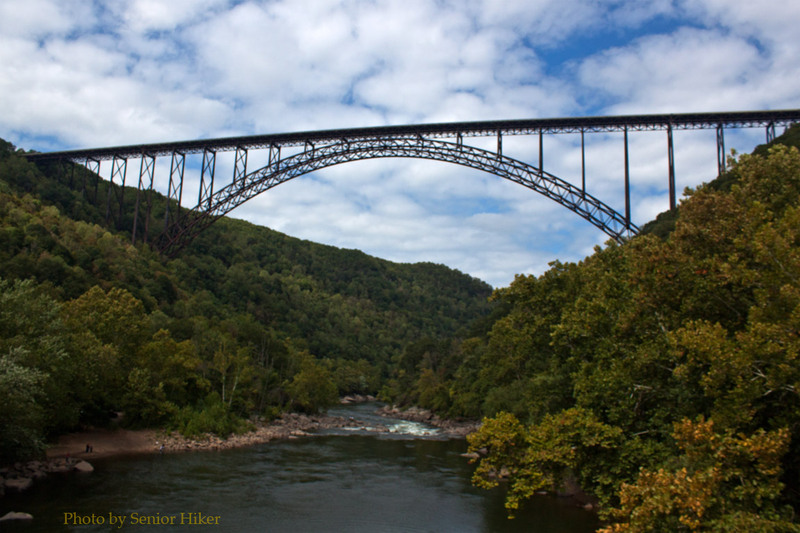 The Tunney Hunsaker Bridge carries Route 82 across the New River at Fayette Station at the bottom of the gorge. This bridge, and the winding road down into and then up out of the gorge was the only way to get across the river until the new bridge was built in 1977. 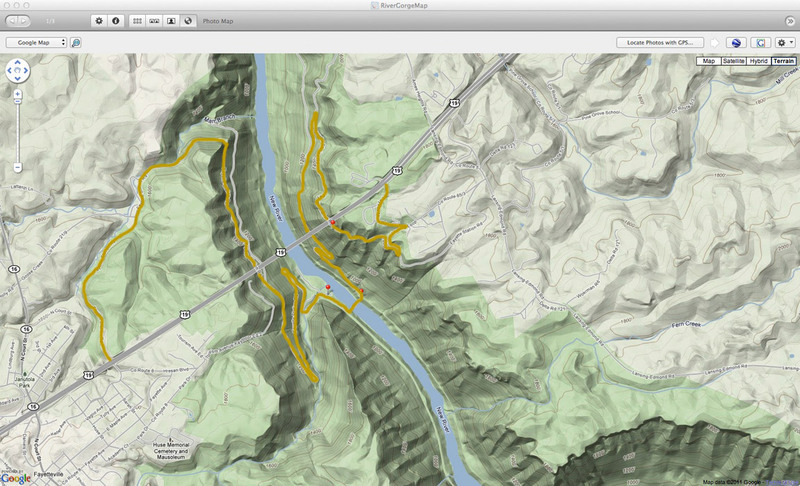 Routes across the New River Gorge in West Virginia. The map above shows US 19 and the new bridge across the gorge, and the old route (in gold) that had to be used before the bridge was built. 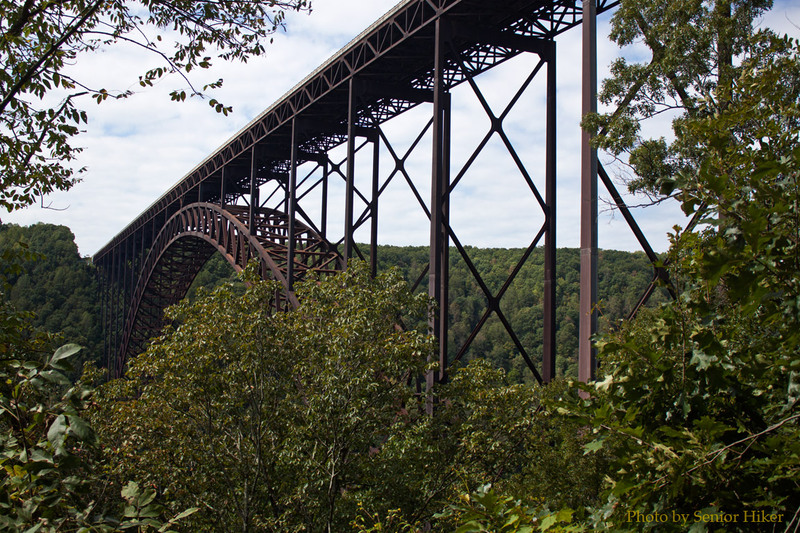 The New River Gorge Bridge as seen from the old bridge across the river. September 17, 2011. I was able to get a picture of the new bridge high above the river from a walkway on the old bridge.